Formed in Osaka, Japan in 1986. This 7 piece all-Japanese band has made it their mission to bring Traditional New Orleans Jazz to Japan. They are successful at it too, as their touring scehdule has them performing in venues across Japan. A few other career highlights include: performing at Breda in Holland in 1997, being invited to play at a Jazz Festival at Gotenburg in Sweden in 1995, and perhaps their greatest honor, performing in New Orleans Citizenship in 1989. Started in 1993, and have been mainly playing ragtime, classic jazz, and American old standard numbers from the beginning of 1900 to 1940s. Toured in the States, in 1997(Purdue Salty Dogs Reunion), from 2000 to 2003 (Arbors March Of Jazz Festival), and had a great favorable reception from the jazz lovers in America. 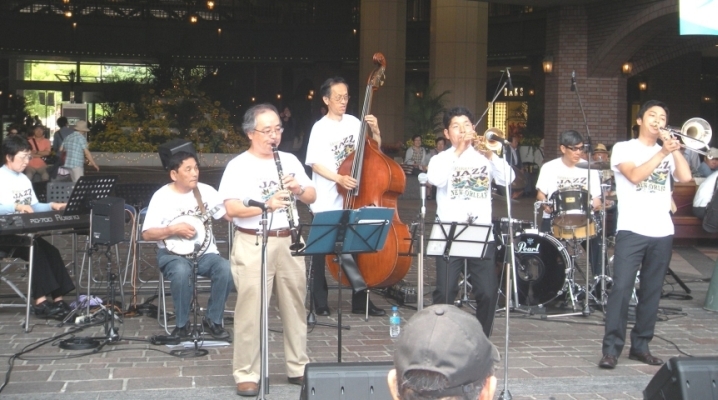 Have been playing occasionally at Kobe Jazz Street, All Japan Dixieland Jazz Festival, Kobe Shushin-kan, Rokkosan Hotel,etc. 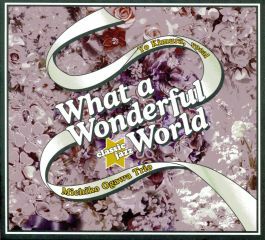 Released six CD's up to today. See "Profile" page under her website. Started playing the trumpet with a brass band in his junior high school. Studied the double bass and played with a modern jazz group of the Kansei Gakuin University in Kobe 1961-65. Joined the New Orleans Rascals in 1965 and learned traditional jazz string and tuba bass. Honored to receive late Pops Foster's bass as well as the name "Pops" from his widow, Alma, who was very much impressed with Nobby's slapping play in 1971. 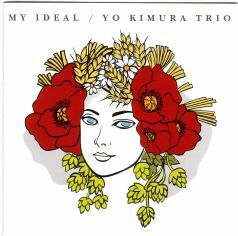 Playing regularly with the New Orleans Rascals and the Yo Kimura Trio. Received the Honarary Citizenship of New Orleans in 1966. 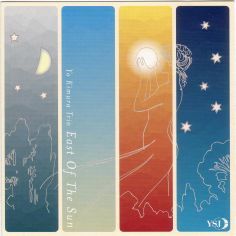 Started listening to jazz on the Radio (Far East Net-work, Tokyo), and records at the age of 10. Began self taught study of drums by Gene Krupa's Method Of Jazz Drumming at the age of 18, and learned traditional jazz by listening to records of Baby Dodds, Zutty Singleton, Joe Watkins, etc. Played with the Waseda University New Orleans Jazz Club Band in Tokyo 1957-61, and has been a drummer and a vocalist of the New Orleans Rascals since 1961. In the years of 1965-67, played the drums with the Campus Salty Dogs at Purdue University, Indiana. Received the Honarary Citizenship of New Orleans in 1966. 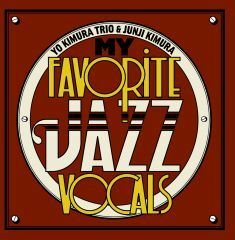 Yo Kimura's vocal CD "What a Wonderful 'classic jazz' World"
Yo Kimura's vocal CD "My Favorite Jazz Vocals"
Yoichi and TonTon’s vocal CD "In Collaboration"
From Hyogo Prefecture. 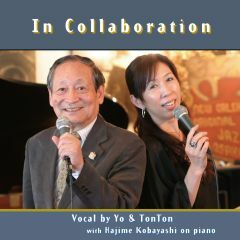 Tonton sings from traditional jazz to swing jazz. Her parents manage a jazz bar "New Suntory 5" in Osaka and she was brought up in an environment where she could have experienced real live jazz music from all over the world since her childhood. During that time, she was influenced by Yoichi Kimura, a vocalist and drumer of the New Orleans Rascals, and she began to develop a foundation as a jazz singer, and naturally became sensitive to jazz music, especially from New Orleans Jazz to swing jazz. 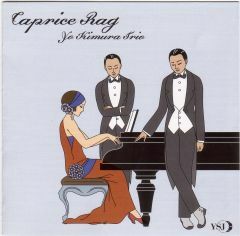 She sings not merely the masterpieces of the good old days, but also the popular jazz tunes in Japan today. She especially takes pride in maintaining the original melodies. 1996: Grand Prix Of Vocal Section, in Tokyo Asakusa Jazz Contest. 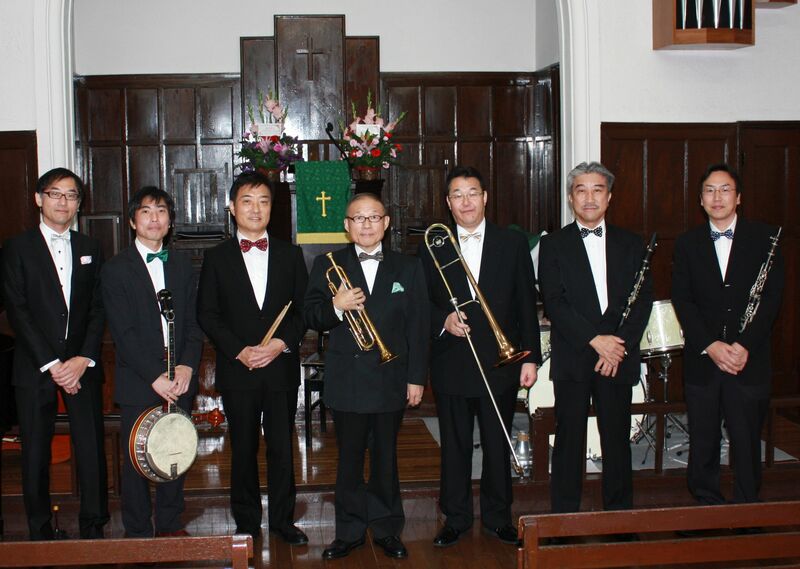 Performed in the Manly Jazz Festival, in Australia with the Tokyo Metropolitan Government BigBand, "Swing Beats". 1997: Performed in the Ghent Jazz Festival, in Belgium during the European concert tour with The Royal Flash Jazz Band from Kobe. 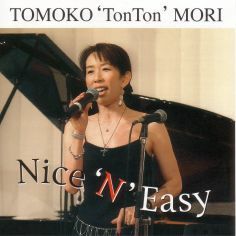 2006: Released her first CD "Nice ‘N’ Easy". She also performs in Kobe, Shinjuku, Niigata jazz street, Osaka Big River Jazz Festival and many other events. Price: 2,000yen, a postage is required in addition to this price. A reference about CD: New Suntory 5 2-10-15 Sonezaki Kita-ku, Osaka, 530-0057, Japan (Sonezaki Center BLDG FL5), FAX:+81-6-6314-0267 or send E-mail.